Are you looking for a new quilt pattern? Silly question, you’re a quilter, of course you are! 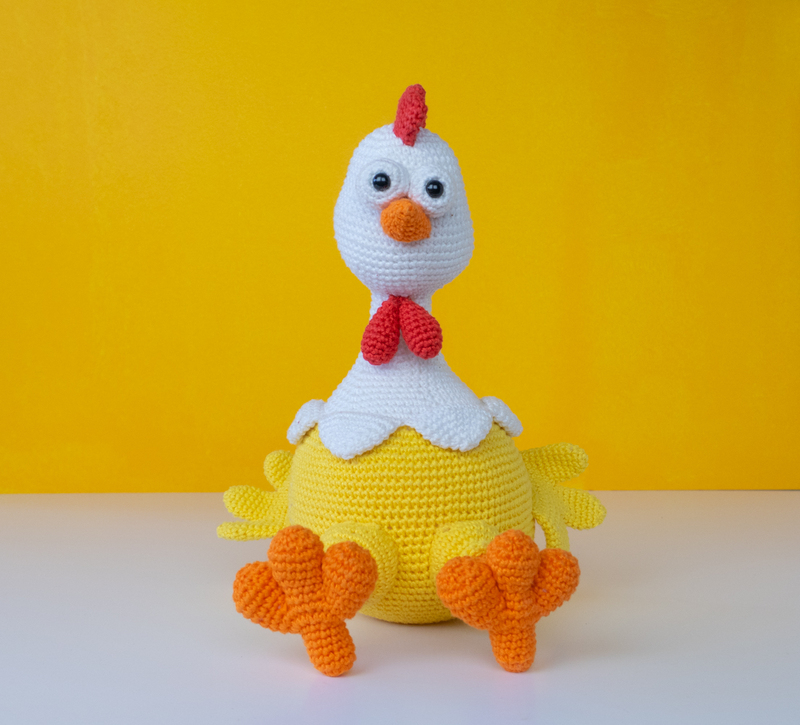 There is always a birthday gift or a baby shower present that asks for something special, that asks for a new pattern. But there is always the urge for something new. Even though you know you can’t go and buy EVERY PATTERN that’s out there. Right? Well, I have news for you, you don’t have to! With the Sugaridoo Sampler you’ll have a super big paper piecing pattern collection to choose from. Quilt blocks for every project you want to make. Whether you want to make a thank-you-teacher-mug-rug, an I-love-you-hubsie-laptop-pouch or a let’s-play-all-day-baby-play-mat. Not only does the book give you 38 fresh and modern quilt blocks to choose from. It will also grant you lifetime access to a Sugaridoo members only collection of quilt designs. No need to buy more patterns any time soon. 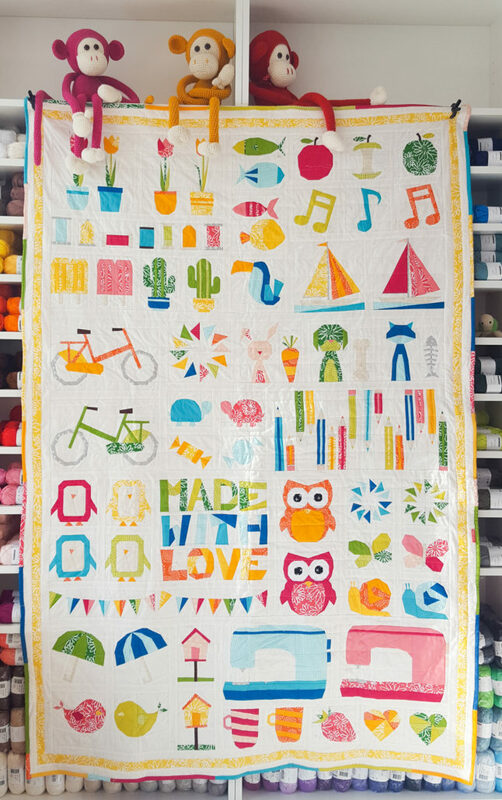 This book is jam-packed with happy modern quilt blocks: a bike, an owl, pencils, tulips, a penguin, musical notes, a cactus, a sailboat, a sewing machine, and many many more. Ever growing list of quilt designs? Yes! I’m continually adding new quilt designs to the list in the special members only area on the Sugaridoo website. When you buy the Sugaridoo Sampler you’ll get access to all those quilt designs and projects in which you can mix and match all the blocks from the book. How does that mixing and matching work? The Sugaridoo Sampler contains quilt blocks in many different sizes ranging from 10 x 10 to 20 x 30 to 7.5 x 65 cm. All you need to do is select a quilt design from the online library, pick you favorite blocks from the book, pick you fabrics and start quilting! Easy Peasy lemon squeezie. You can easily create your own sampler, table runner or mini quilt. With all these blocks, and the different quilt designs, it becomes so much fun to start your next quilt project without the need to buy more patterns. This e-book is not like just any other pattern. Not just because I’m the author, and I’m super proud of it, but the Sugaridoo Sampler is a crazy big pattern collection of over 190 pages. Most quilt blocks are already scaled to multiple sizes so you don’t have to worry about that. So that’s why this book got so big. No scaling, no breaking your brains over the math. You can start sewing right away! For every block size there is a chapter with blocks to pick from. Never been so easy to find patterns for your next project. If your looking for that new special quilt pattern to make all the things. This is it. Get your copy today. In the Sugaridoo Sampler you will find basic instructions on foundation paper piecing. You’ll find instructions on how to assemble the segments in to blocks and how to assemble the quilts in to a quilt top. There is also a brief explanation on how to build a quilt after you’ve finished your quilt top. In the members only area you’ll find video material on the techniques you need to make a paper pieced quilt. New videos are added regularly. You’ll even have the option to request video tutorials on the things you’d like to learn. So really everything is in there!